Nesting turkey hens lay low during their nesting periods, often in shallow dirt depressions surrounded by moderately woody vegetation that conceals the nest. Answer: In most areas, nests can be found in a shallow dirt depression surrounded by moderately woody vegetation that conceals the nest. Hens look for locations close to food and water and with ample cover to safely conceal the hen and her poults (chicks) once hatched. Hens are very leery of predators, such as coyotes and fox, but do leave the nest unattended for brief periods to feed and drink. Hens will lay a clutch of 10 to 12 eggs during a two-week period, usually laying one egg per day. She will incubate her eggs for about 28 days, occasionally turning and rearranging them, until they are ready to hatch. A newly-hatched flock must be ready to leave the nest to feed within 12 to 24 hours. Poults eat insects, berries and seeds while adults will eat anything from acorns and berries to insects and small reptiles. Turkeys usually feed in early morning and in the afternoon. 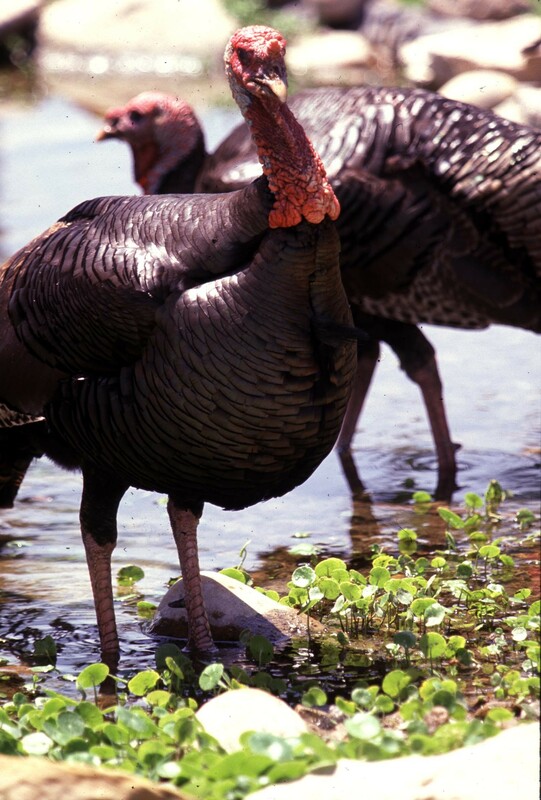 For more information on wild turkeys, check the California Department of Fish and Game (DFG) hunting Web site at http://www.dfg.ca.gov/about/hunting/ and the National Wild Turkey Federation Web site at http://www.nwtf.org. 3. Schools or school districts. Employees of private licensed care centers, tax-exempt organizations, schools or school districts are also exempt from Section 7145 only while assisting physically or mentally disabled persons fishing under the authority of a valid license issued pursuant to this section. For more on free and reduced-fee fishing licenses, please go to http://www.dfg.ca.gov/licensing/fishing/sportfishingfreereduced.html. The Free Group Fishing Permit application forms can be obtained through our License and Revenue Branch office in Sacramento. Answer: Regulations prohibit you from continuing to fish for sturgeon that day once you have caught and tagged one on that specific day. This includes even catch and release fishing for them. If you do catch another sturgeon accidentally, you must immediately release it. The best thing to do is once you have a keeper sturgeon on board, move to another area and change your rigging and methods so that you are targeting different species. Once you have caught and tagged your yearly limit of three sturgeon, you cannot fish for sturgeon again until the next year. Answer: You may not use any tools for the take for saltwater mussels. The only methods allowed for mollusks (including mussels) are by hook-and-line (which probably won’t work) or by hand (FGC 29.10[a]). This entry was posted in Bag Limits/ Possession, Catch & Release, Fishing, Licensing/Permits/Stamps/Report Cards, Methods Of Take, Regulations, Turkey and tagged fishing, invertebrates, Licenses, ocean fishing, regulations, sturgeon, turkey hunting, Turkeys, upland game hunting. Bookmark the permalink.